Apoorva Constructions, Tumkur has won the bid for construction of city bus terminal building in Belagavi city at a cost of 32.26 crores. The bid amount is higher by 99 lakhs than the one quoted in the tender. The work on the same is likely to commence after the rains recede. Already the construction of the modern stand has already begun on Dec 3, 2016, and about 65% work of the work is completed and the entire project has to finish by December 2018. The project includes construction of new modern bus station, covered accommodation, Parking Area pavement concrete, City bus shelter, Water supply, Sanitary, Electrical H.T. Works, Wiring, lighting, firefighting etc., as directed by the Engineer-in-charge of work. 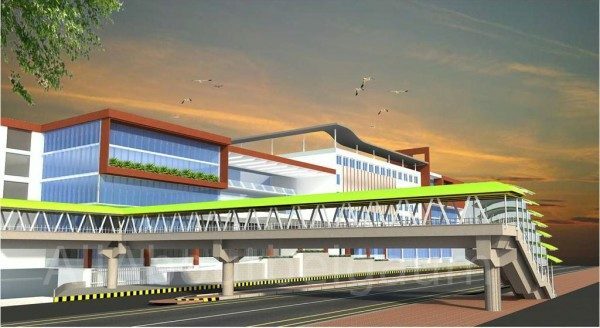 Under the Smart city limited, the bus stand will get a new facade, waiting rooms, Basement parking for cars and also have a skywalk. Commercial office space on the First floor – 2595.94 Sq m.
The basement will parking facility for 133 Cars and 51 Two wheeler’s (there is a separate two wheeler’s parking facility at the bus station. Upper Ground floor will have vehicular entry to the basement and main waiting area with shops and escalators. This is a very fantastic bus stand after it completes appreciated for the development of belagavi bus stand by GOK and smart city ltd.